Busily micromanaging the residential rental market from Sacramento, our legislators have made landlord-tenant law in California a minefield for landlords. Here’s one mine you might not know about, but should if you’re an amateur landlord or thinking of becoming one. Under what I’ll call the limited entry laws, you have no legal right to enter your property to see what condition it’s in without the tenant’s consent. There are only three legal exceptions. The first is entering to deal with a dire emergency, like fire or flood. The second is entering to make repairs. The third is entering to show the property to prospective tenants. Naturally no prior notice is required for the first, but prior notice is required for the second and third. How to give prior notice is not left to chance. Detailed requirements must be followed. Now, how is the landlord supposed to know that he should enter legally to make required repairs if the tenant never tells the landlord that any repairs are required? Apparently assuming that all renters are responsible and reliable, our legislators have failed to answer that question. So, let’s say there is water leaking under the kitchen sink from the faucet, gradually destroying the cabinetry. The tenant knows about the leak, but he doesn’t doesn’t care about the cabinetry. He cares more about the inconvenience of having the landlord, the plumber, and the cabinet guy in the house, and he keeps his marijuana plants on the kitchen window sill. Besides, the tenant knows his rights. He’s already refused several requests by the landlord to inspect the place. The tenant decides not to tell the landlord about the leak. When he eventually departs, disappearing without a forwarding address, the landlord at long last discovers there were required repairs, but they are now ten times more extensive and costly than they might have been if landlords had a right to inspect and he had exercised it periodically. We are not sure we can solve this problem legally. I suggest to my landlord clients that they insert a provision in their leases stating that the landlord has the right to enter, after reasonable notice, to inspect the premises for the purpose of identifying required repairs, and that the tenant’s refusal to allow such inspection constitutes a default entitling the landlord to terminate the lease. I also suggest a second provision containing a specific waiver by the tenant of any right under the limited entry laws to refuse entry for inspection only. 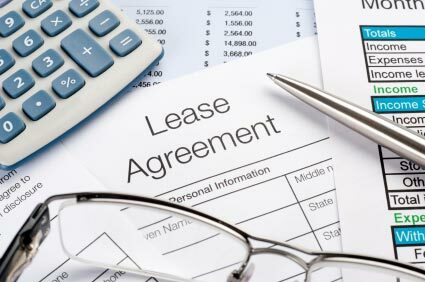 If you assume such provisions are in a lease and the tenant refuses entry after proper notice, the legality of the provisions would be tested in court. Unfortunately the landlord might not prevail. I suspect there is a high probability that the court would treat what I have called the limited entry laws as consumer protection laws. In many cases, courts have ruled that it is against public policy to allow consumers to waive consumer protection laws intended to protect them. This may be one of those cases. To my mind the legislature has once again failed to consider the law of unintended consequences. Their intention was undoubtedly to help tenants. However, making life more difficult for landlords forces landlords to toughen their standards for acceptable tenants. Landlords conscious of a tenant’s power to prevent entry for inspection will not want to rent to anyone who looks as if he might exercise that power. The net result may be to hurt people who need to rent, not to help them.